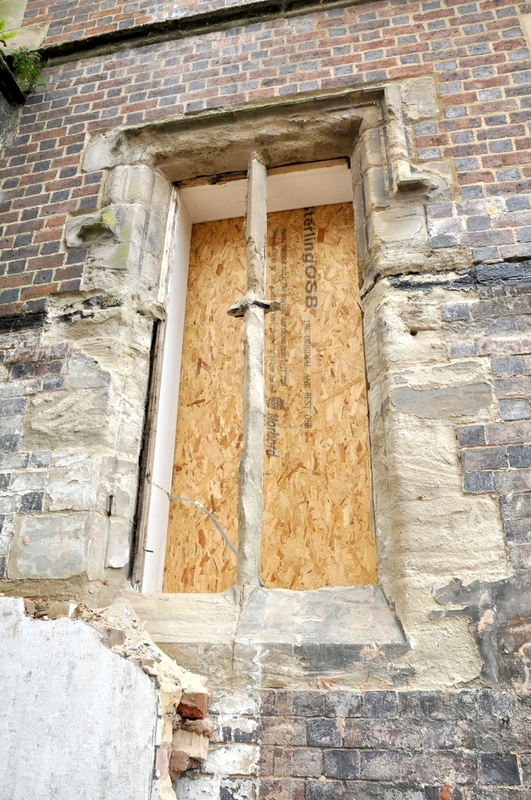 The restoration was funded by the Heritage Lottery Fund, Warwick Town Council and Warwick District Council. It involved major work on the foundations and the replacement of a large number of the sandstone blocks which had become very worn and damaged over the years. 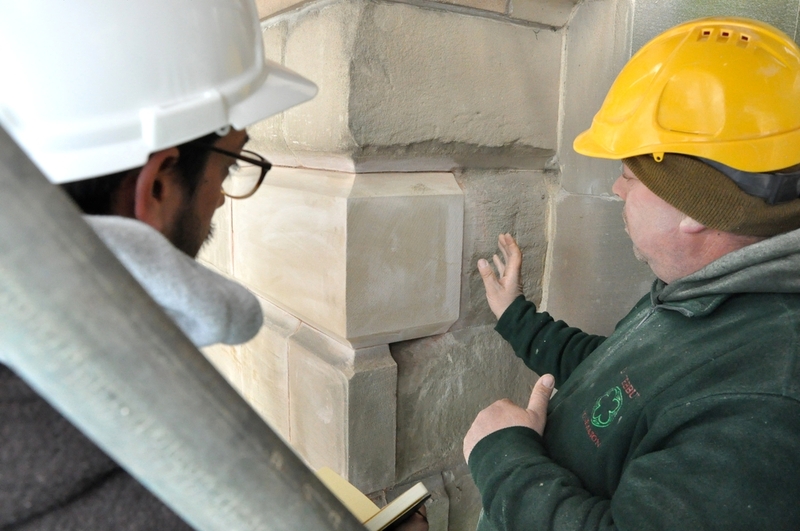 The replacement sandstone was sourced from a local quarry site in North Woodloes, Warwick where a lot of the original stone used to build the new 'post fire' houses was taken from. Major repairs were made to the roof, a new lift fitted and a new oak floor for the ballroom. There is a redesigned Visitor Information Centre with a rotunda display area, new main entrance at the rear of the building in Pageant Gardens, new Warwick Town Council offices and council chamber, and the ballroom restored to its Regency elegance. 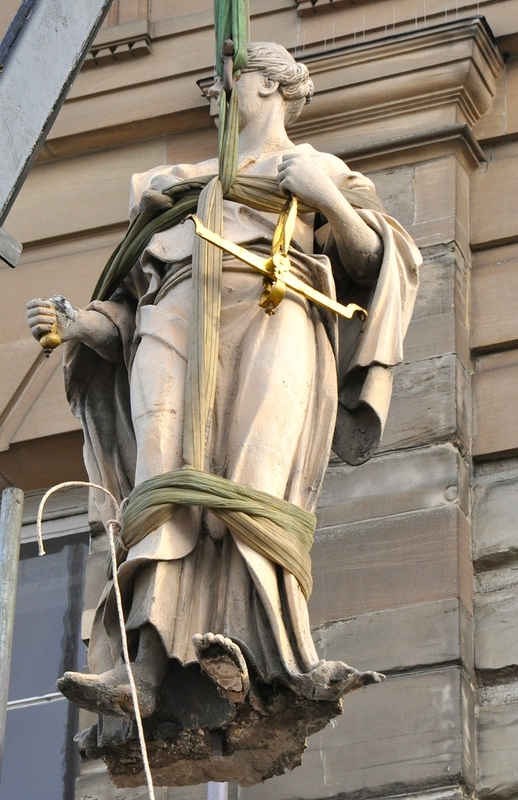 Outside, the magnificent statue of blindfolded Justice, made by the noted sculptor Thomas Staynor in about 1700, was taken down and removed to a restorer in Telford, and returned with a new sword (the original had disappeared in the 1940s). Staynor's carvings of the Royal and Town crests were also repaired. Here are a few photos taken during the refurbishment. More can be found in the news items issued during the project (see below). 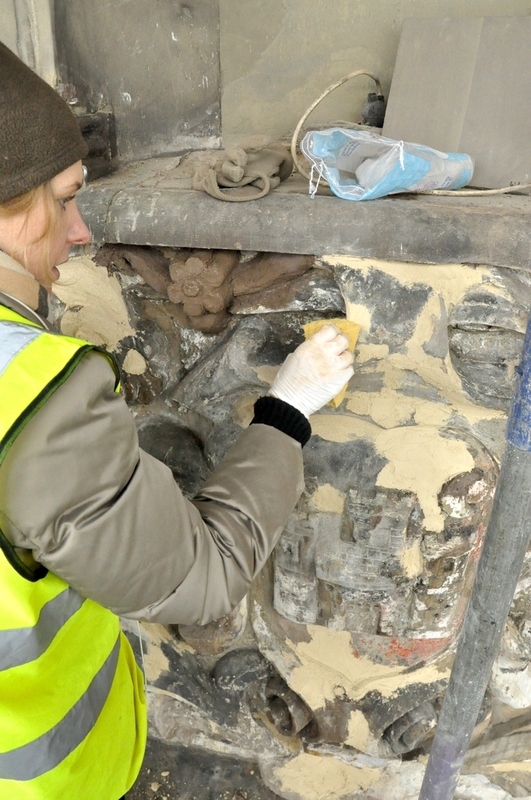 The Royal Crest being repaired. 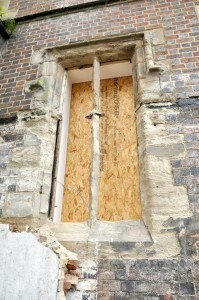 One of the old window mullions. Replacing the joists in the Ballroom. Stonemason and student at work. 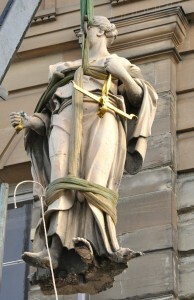 The statue of Justice being lifted back into place. The building now has full disabled access from the Pageant Gardens entrance, and there is a lift to the first floor and Yeomanry museum in the basement. There is a newly fitted and equipped kitchen to allow the ballroom to be used for dinners, balls and private functions. If you are interested in hiring the ballroom or any other rooms in the Court House for meetings and events then please contact the Visitor Information Center on 01926 492212 or email admin@visitwarwick.co.uk or visit the Warwick Town Council website Here. 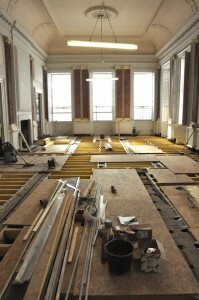 Court House Ballroom nears completion! Warwickshire Yeomanry museum will be fully accessible! New visitor centre in Court House opens! Justice returns to the Court House! Court House works nearing completion! Court House crests and coats of arms restored! Photos of the statue of Justice being restored. Uncovering and making good – the work continues! 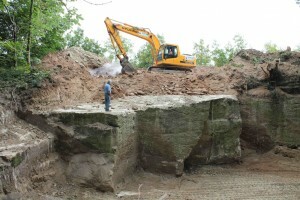 Careful excavations reveal old well! Flitch beams and torsion ties! New pictures of Court House renovation ! Renovation work underway on old Court House! Justice comes down for a makeover!